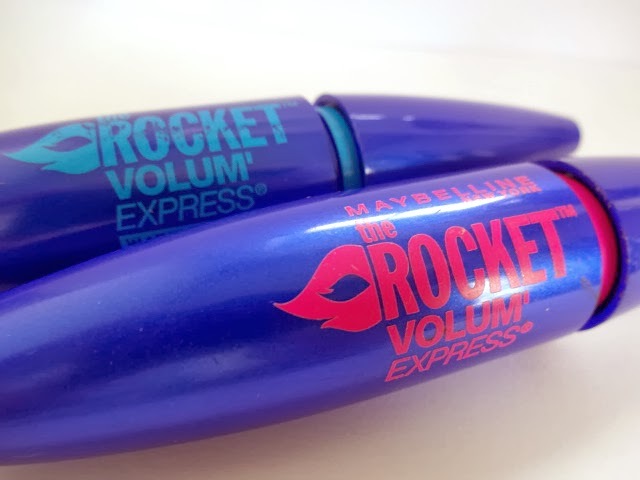 Today I thought I would tell you about the most amazing mascara I have ever used, the Maybelline Rocket Volume. I'm now on my fourth tube of this because it honestly is my perfect mascara; if you want heaps of volume with no clumping this is the one. I've been wearing this for months now, but just before Christmas I got the Benefit They're Real mascara and was using that. I thought it was amazing and loved it but after trialling both for a good while, the Rocket Volume definitely wins for me. I'm so glad to be back to this mascara and will be continuing to use it for a long while I'm sure. I've tried mascaras from all different brands and prices and never found anything that I completely fell in love with. My last mascara love was mixing the Natural Collection LashBuild mascara with Maybelline Colossal. I liked the NC formula with the maybelline brush, but doing this was wearing thin and becoming kind of annoying. It also didn't last as long as I'd have liked, despite loving the look it gave. Until one lucky day when I forgot to bring my mascara to work, when I was going out straight from there. 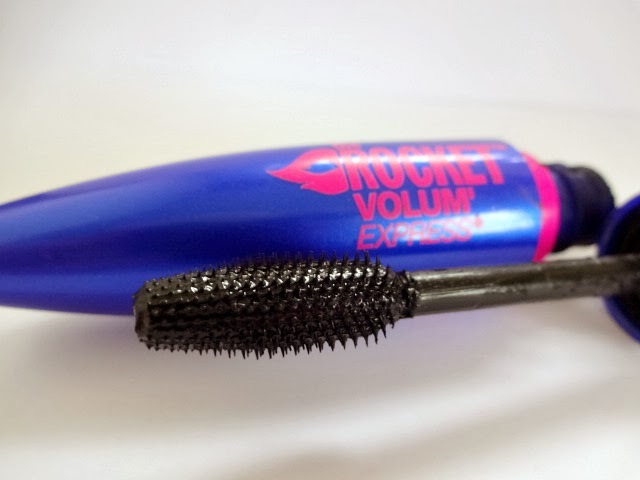 At the time, I of course did not see this as lucky and was having a bit of a panic when my friend let me borrow her mascara, the Maybelline Rocket Volume. I applied one coat on top of my existing mascara and it was love. 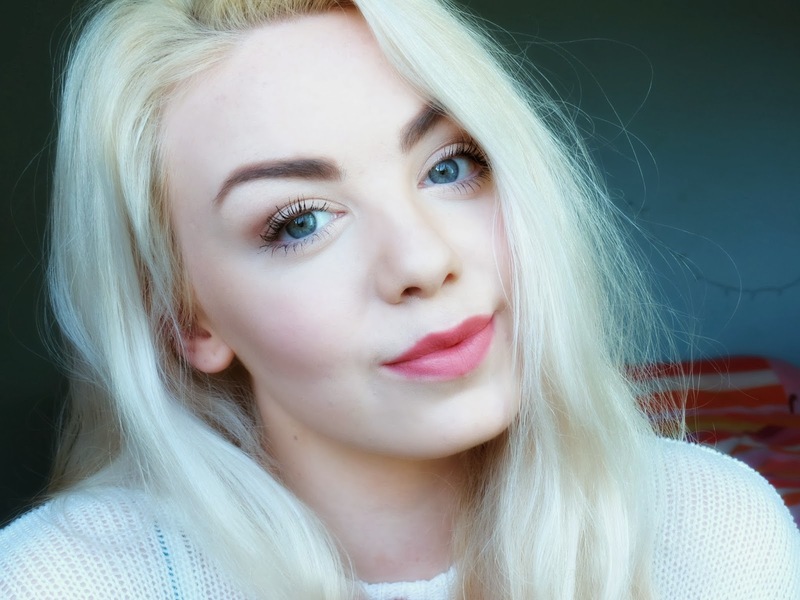 It looked like I had fake lashes on and completely transformed my look. I have had so many people think I'm wearing false lashes when wearing this mascara. In the day time, I will wear 2 coats, as shown in the photos above. However for nights out I'll add an extra coat or two and it adds incredible volume with zero clumps. This is the product which has allowed me to feel comfortable on nights out without fake lashes, I never used to go on nights out without false lashes. In the above photos, I would say my lashes look slightly messy and more natural, but I find it really easy to make them look really neat and more perfect, like a good pair of falsies would do. I don't have crazy long lashes, but they are fairly long so I can't really comment on it's lengthening properties. It does lengthen my lashes, but I can't compare it to other mascaras as I've never particularly tried to lengthen my lashes. I'm also going to make a quick comment on the packaging, because I really do like it. Packaging is never really something I talk about too much as I'm more interested in the product itself. (Unless it's totally gorgeous, think YSL lipsticks..) However, I'm just going to quickly say that I love the fact that it is a kind of stream lined rocket shape. Simple things, simple things... I love the colours and just think it's designed really well, it's super easy to hold and use and I love the brush. So I guess what I'm trying to say is, go and buy this mascara!! It is definitely now a holy grail item for me and I could not live without it. I honestly urge you to try it, for £7.99 it's absolutely worth a go and if you like a good fat lash look like me you'll be in mascara heaven. Mine is now coming to an end so I'll be popping out tomorrow for my fifth tube. 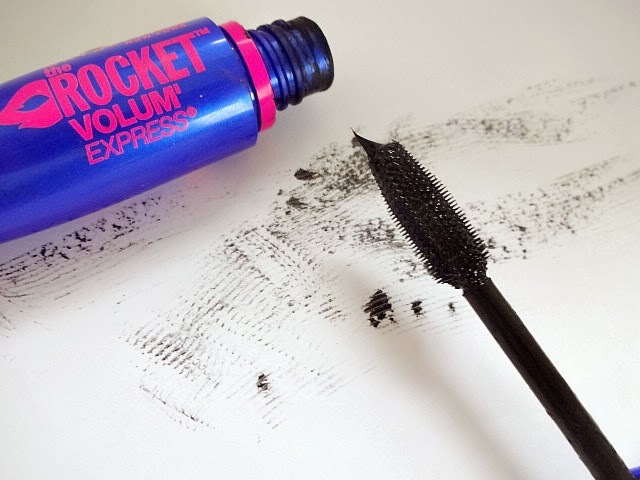 Let me know if you've tried this mascara, I'd love to know what you think! Do you like it? Would you like to try it?